It can be heartbreaking to see our beloved pets become plagued with joint pain. It's a common problem that affects millions of pets in homes all around the world. The colder months of the year is when joint pain predominantly surfaces and makes winter an extremely uncomfortable time for many animals. Knowing more about joint pain in pet's and how to spot the signs will save your pet a lot of discomfort. The sooner you act to help your pet the faster the pain can be greatly reduced. In this month's article Dr Mark explains how to help your pet from suffering from joint pain just in time as we now enter the cold months of the year. 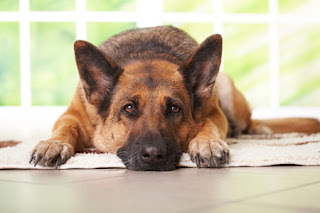 Check out the full article on how to Stop Your Pet Suffering From Joint Pain Now! Win 1 of 5 Kong Dental Prize Packs!